Those who visit Peekskill for the sixth installment of Peekskill Project, the public art festival that began on Sept. 27 and runs through year’s end, should not arrive expecting to experience everything. Total immersion would mean traveling to about 20 sites around town to encounter works by 56 artists, which may give pause even to determined art seekers. But more important, not every installation is accessible. 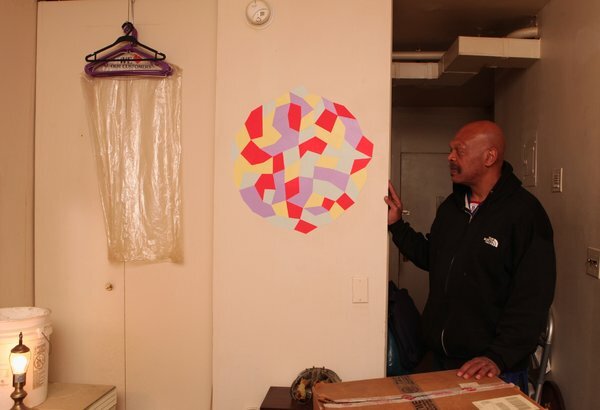 To see every work made for the project, viewers might have to break into someone’s apartment. That is essentially the goal of every installation, said Emilie Nilsson, this year’s coordinator. 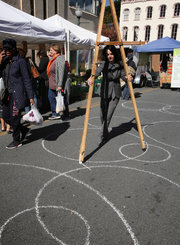 Peekskill Project, organized by the nonprofit Hudson Valley Center for Contemporary Art, was founded in 2004. “It’s an opportunity for curators working with emerging talents to bring their works into dialogue with the community in public spaces,” said Livia Straus, the director of the center. Peekskill Project does not happen every year, or even every other year. Its length and breadth have varied. But each installment is meant to have a distinct vision, guided by its coordinator. 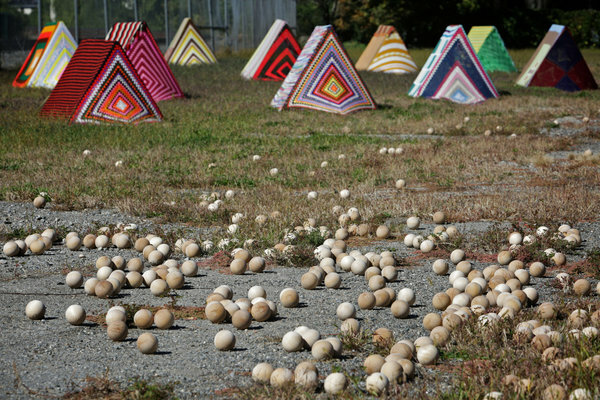 Ms. Nilsson’s vision is conceptual and woven with social, political or geographical artistic connections to Peekskill. Works were selected by a jury of 10 art professionals, who evaluated roughly 150 submissions from around the world. Of the 56 artists selected, 15 are from the Hudson Valley. The mix of local and nonlocal artists is crucial to the project’s point of view. Ms. Janssen and Mr. Korsmit sought five volunteers who were willing to invite them in their homes and let Mr. Korsmit paint on their walls in early September. Other works, like Ms. Donnan’s colorful settlement-like installation, “Hudson Applique,” are built less around personal contact. The piece is intended to refer to the history of the Hudson River, which it overlooks from a field on Water Street, with evocations of colonization and the seasonal migration of Native Americans and their struggle for land. A roughly 12-by-20-foot sculpture by the Polish artist Jan Baracz in the Hudson Valley Center parking lot, “On the Nature of Dust Deposits, Minerva Owl Flight Patterns & Other Commonly Overlooked Events,” collects blank demonstration signs, banners and flags; its composition hints at the 1949 riots that took place nearby as a result of a concert by the singer and civil rights advocate Paul Robeson. And the Brazilian artist Liene Bosque’s work “Collecting Impressions” invites visitors and community members to walk through town with her. Ms. Bosque’s walking companions will press a small supplied piece of clay into a local landmark of their choosing, such as a building. After two walks are completed, Ms. Bosque will compile the clay impressions at one of the Water Street factory buildings the project has annexed and share stories, through video, of the people and places behind the pressed objects. While Peekskill’s history inspired some of the project’s artists, others paid it scant attention. For example, Stephen Schaum of Boston created “A Year of Sunlight,” a video and sound installation that compresses a year of sunlight extracted from solar radiance values collected from the New York State climate database. The work, which can be experienced within a theater at the Hudson Valley Center, is meditative but decidedly modern. Nina Mouritzen, a Danish artist, shot photographs of the people of Peekskill this summer as they shopped at the local farmers’ market. 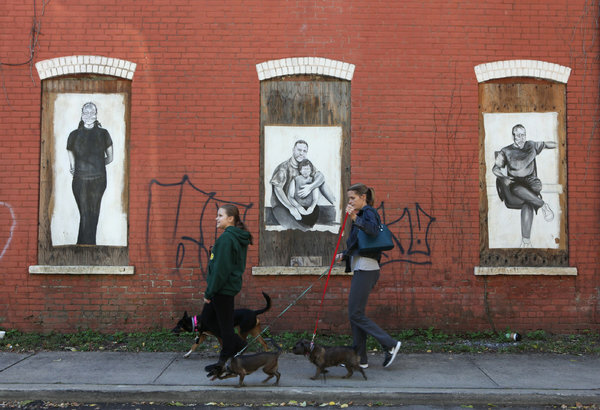 The result is “Inside Peekskill,” a collection of 52 black-and-white oversized portraits that will decorate the exterior of a Water Street factory building for the duration of the project. “I asked Peekskill residents if something had recently ended for them, and if they could give me an object that represented that,” said Ms. Snowe, who spoke while hanging some of the donated objects — a key, the sole of a shoe, an antler — from the ceiling of a Water Street factory space. She has also recounted the stories collected for “The End” in a booklet available to Project visitors. Talking to people about ends “opened a lot of conversations about conceptual art,” Ms. Snowe said. It also helped her get under the surface of Peekskill, “which is this great, welcoming community,” she said. An earlier version of this article and of an accompanying picture caption credited the wrong artist with works painted on the walls of the homes of Peekskill residents. They were painted by George Korsmit, not by his wife, Saskia Janssen. 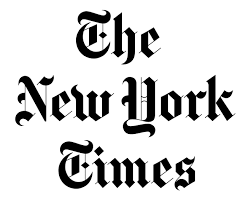 The article also erred in listing the homeland of another artist. Megan Snowe is a Philadelphian who studied in Finland, but does not live there.